According to a new Gallup Poll exactly half of all Americans are for LEGALIZING WEED! That’s a record-HIGH, man…up from 46 percent last year! Gallup says “If this current trend on legalizing marijuana continues, pressure may build to bring the nation’s laws into compliance with the people’s wishes.” Gallup published. 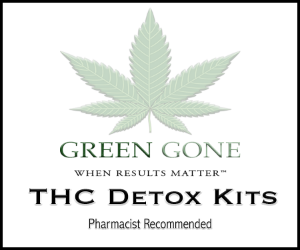 Last year Gallup reported that 70% favored legalizing medical marijuana in order to reduce pain and suffering. 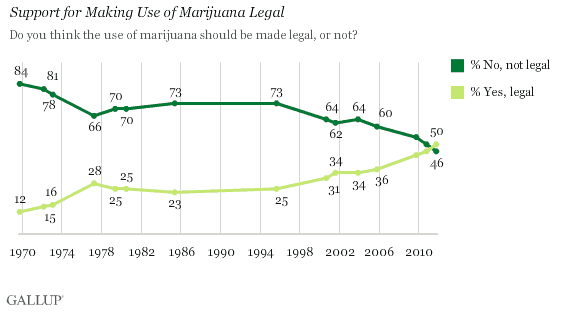 But, when Gallup first asked about legalizing marijuana in 1969, only 12% of Americans favored it…it wasn’t until the mid-90’s when President “I Didn’t Inhale” Clinton took office that legalizing weed crept into the 30% range.